You know matters even more than your job or your career? Your life. It’s a new year, and I am pumped for 2016. I am planning on making some big changes in my life and I hope it will inspire you to continue to see your life as a project, and you as being the manager. There’ll be more on that later. Today I bring you my friend Adam Nesrallah, who is a former spy, to talk about some of his intelligence gathering techniques to help us with better understanding communication. So if you want to learn more about the work of a spy and how the way spies communicate can help you with your own communication, make sure to check out today’s episode. Adam Nesrallah is the founder of RONIN Training, a training and development firm which uses the expertise of the intelligence trade to teach individuals and businesses essential survival skills: people reading, tactical communications, relationship building and persuasion. 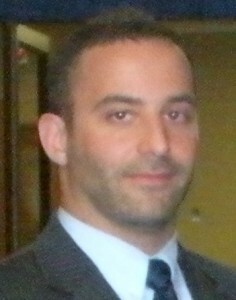 Adam is a former Intelligence Officer with CSIS, and worked as a Counter Intelligence case officer, a Counter Terrorism field officer and an Internet Exploitation Analyst. Over his career, Adam has developed expertise in interviewing, relationship-building, informant recruitment, agent handling, and investigation development. Under Adam’s vision, RONIN develops and delivers training and coaching to teams and corporations in a variety of investigative disciplines; salesmanship and tactical communications; relationship and teambuilding, and self defense. Adam holds a Bachelor’s Degree in Communications Engineering, and has a long background in IT, customer relations and sales. Adam is certified as a Professional in Critical Infrastructure Protection (PCIP) through the Critical Infrastructure Institute (CII), a certified instructor in tactical hand-to-hand combat and an expert in tactical communications and non-violent conflict resolution. Currently a volunteer with the Dave Smith Foundation, Adam works regularly with at-risk young men working through an addiction-recovery program, and is involved in fundraising activities for the DSF. He is involved with The Well, a drop-in centre for women and children, and teaches a free self defense program to the centre’s vulnerable clients. 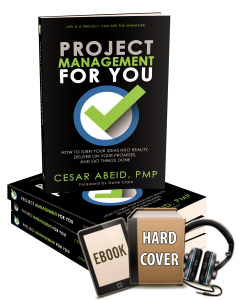 You can still get my book Project Management for You in audio format for free when you buy it on Amazon Kindle. I’m not sure how long until I end this promotion, so take advantage of it right now. To do so, visit click this link and follow the simple instructions. Project Management for You continues to be one of the top sellers under the Business/Project Management on Amazon. If you have already purchased it, thank you so much! Today’s episode is sponsored by CareerAcademy and their fantastic offer to our PM for the Masses community. This offer is called the Certified Learner Membership through CareerAcademy. Full mobile access for training on the go! Get access to this amazing offer here.